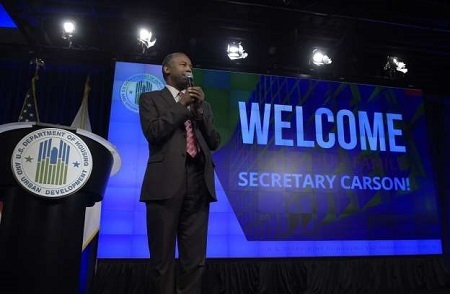 Housing and Urban Development (HUD) Secretary Ben Carson referred to slaves as immigrants while speaking Monday to HUD employees. That`s what America is about, a land of dreams and opportunity, Carson said. There were other immigrants who came here in the bottom of slave ships, worked even longer, even harder for less. Yippie for the rest of us!